Brand development for Omaha’s first barrier-free sports complex. $2.5 million and tons of goodwill raised for a special cause. 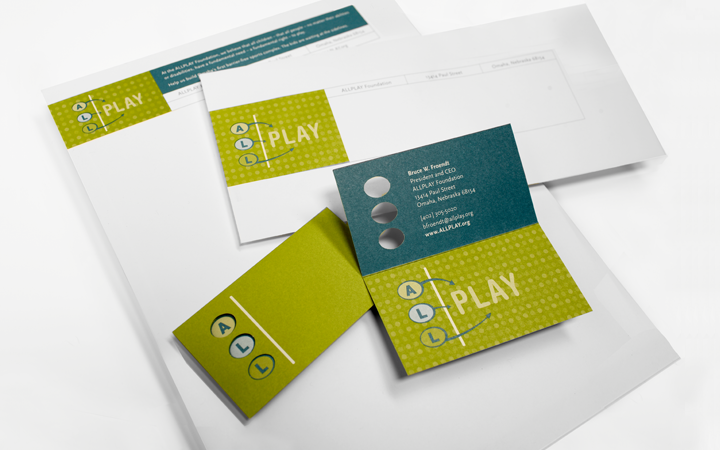 A new brand identity helped raise the funds ALLPLAY needed to build and operate the first barrier-free sports and recreation complex in the nation. 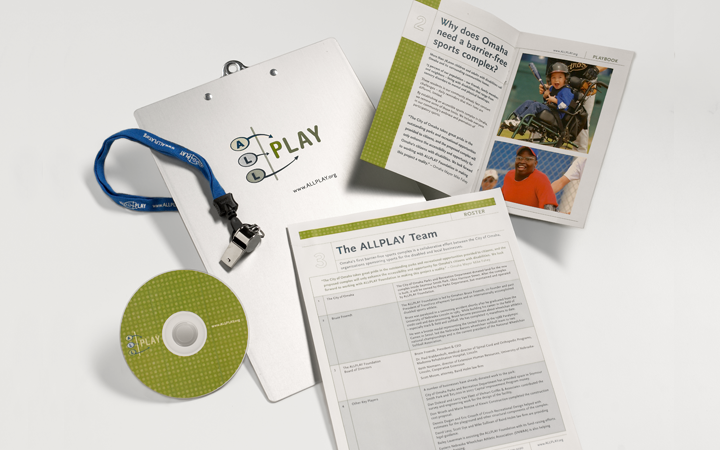 The ALLPLAY Foundation needed to create a brand identity and fundraising kit that would help them raise awareness and $2.5 million for a place where all people could come together to play, regardless of their abilities and disabilities. We created a campaign strategy that made fundraising kit recipients feel like coaches of the future players who would benefit from their donation. Each kit included items that a coach would need to win a game, such as a game plan, clipboard, and whistle. The cohesive identity and campaign led ALLPLAY Foundation to meet their fundraising goal in record time. Score!